Vita and Virginia will be released July 5, 2019. The screenplay, written by Button and Eileen Atkins, is adapted from the 1992 play Vita & Virginia by Atkins. 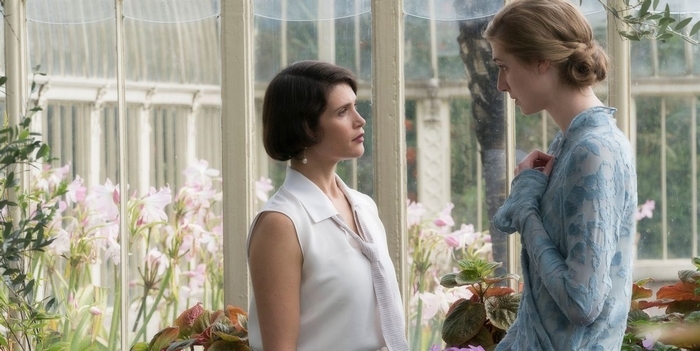 The film stars Gemma Arterton, Elizabeth Debicki, and Isabella Rossellini. Set in the 1920s, Vita and Virginia tells the story of the love affair between Vita Sackville-West and Virginia Woolf. In 1922, when Vita receives an invitation their paths crossed in Bloomsbury with Virginia. Their romance overcomes all social boundaries, Virginia’s mental health struggles Vita’s recklessness and neither will ever be the same without the other. We can finally watch the official trailer of the movie.